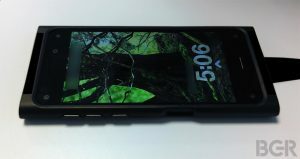 The first set of pictures for Amazon’s highly anticipated 3D smartphone have been leaked and while they show a device that looks a lot like any other smartphone, the device’s features say a lot more. The images, which were provided to BGR, confirm previous reports from publications like the Wall Street Journal. Those articles–which have come out over the past few months–have stated that the Amazon smartphone would differentiate itself from its competitors by offering a 3D display that does not rely on glasses. In order to do this, the phone will reportedly have six cameras, four of which will use infrared sensors to determine a user’s line of sight. By knowing where a user’s eyes are pointed, the 3D images and graphics can adjust to make the user experience more comfortable. A large portion of what we “know” about the Amazon phone has come from KGI Securities analyst Ming-Chi Kuo who talked about the phone in March. He said that KGI expects the device to ship within the next six months and that it will have a Snapdragon 801 processor, 4.7-inch display, and a rear 13-megapixel camera provided by Sony. Though it is difficult to figure out a whole lot from a handful of pictures, the ones that BGR has published do show a device that appears to have 4.7-inch screen and multiple cameras. Based upon our interpretation of the photos, there is one front camera in its usual position as well as four other cameras, one in each corner of the device. BGR chose to block out some parts of the photos and the entire device is also covered by a shell that won’t actually be part of the final design. Instead, the shell is used by Amazon to prevent photos of the hardware from being taken. As with other Amazon electronics like the Kindle Fire line of tablets, this smartphone is expected to be a new way for the online retailer to provide access to its store. Question– Given its unique features, are you interested in the Amazon smartphone? Summary: Photos of the Amazon smartphone have been leaked. They show a device with five front cameras, four of which are infrared. 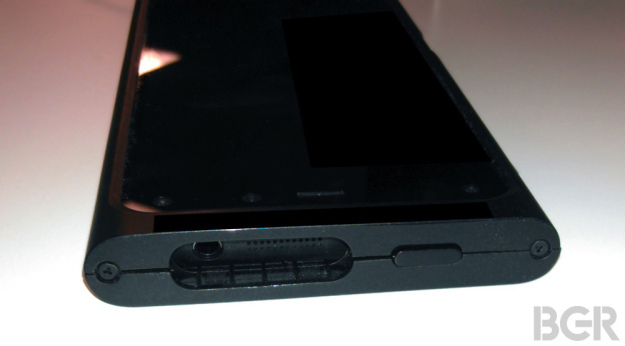 The phone will reportedly have a glasses-free 3D interface.